Stuart Cary Welch's collection of Persian, Turkish, and Indian art is renowned throughout the world for its quality and depth. In 1999, Welch made a generous gift of drawings to the Harvard University Art Museums, which form the basis of the present catalogue. Spanning five centuries and extending from Istanbul to Calcutta, these drawings represent the great empires of the Ottomans in Turkey, the Safavids in Iran, and the Mughals in India as well as numerous regional Hindu kingdoms. This beautifully illustrated book presents more than seventy exquisite drawings-some of which are counted among the greatest Indian, Persian, or Turkish drawings ever made-and explores the connections between the arts and artists of the three cultures. 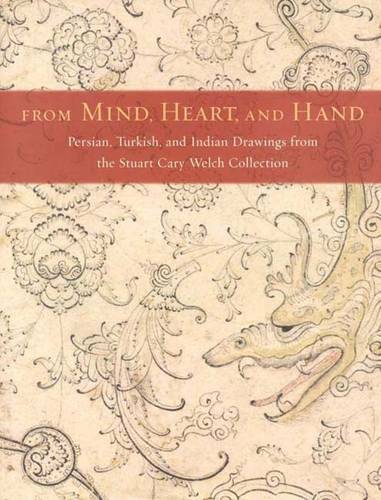 This beautifully illustrated book presents more than seventy exquisite drawings--some of which are counted among the finest Indian, Persian, or Turkish drawings ever made--and explores the connections between the arts and artists of the three cultures.